Baba Buddha ji was a most venerated primal figure of early Sikhism, was born on 6 October 1506 at the village of Katthu Nangal, 18 km northeast of Amritsar. Bura, as he was originally named, was the only son of Bhai Suggha, a Jatt of Randhava clan, and Mai Gauran, born into a Sandhu family. 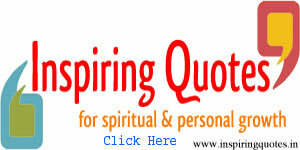 As a small boy, he was one day grazing cattle outside the village when Guru Nanak happened to pass by. According to Bhai Mani Singh, Sikhan di Bhagat Mala, Bura went up to him and, making obeisance with a bowl of milk as his offering, prayed to him in this manner: “O sustainer of the poor! I am fortunate to have had a sight of you today. Absolve me now from the circuit of birth and death.” The Guru said, You are only a child yet. But you talk so wisely.” “some soldiers set up camp by our village,” replied Bura, “and they mowed down all our crops – ripe as well as unripe. Then it occurred to me that, when no one could check these indiscriminating soldiers, who would restrain Death from laying his hand upon us, young or old.” At this Guru Nanak pronounced the words: “You are not a child; you possess the wisdom of an old man.” From that day, Bura, came to be known as Bhai Buddha, buddha in Punjabi meaning an old man, and later, when advanced in years, as Baba Buddha. Bhai Buddha became a devoted disciple. His marriage at the age of seventeen at Achal, 6 km south of Batala, did not distract him from his chosen path and he spent more time at Kartarpur where Guru Nanak had taken up his abode than at Katthu Nangal. Such was the eminence he had attained in Sikh piety that, at the time of installation of Bhai Lahina as Guru Angad, i.e. Nanak II, Guru Nanak asked Bhai Buddha to apply the ceremonial tilak on his forehead. Bhai Buddha lived up to a ripe old age and had the unique honor of anointing all of the four following Gurus. He continued to serve the Gurus with complete dedication and remained an example of holy living for the growing body of disciples. He devoted himself zealously to tasks such as the digging of the baoli at Goindval under the instruction of Guru Amar Das and the excavation of the sacred tank at Amritsar under Guru Ram Das and Guru Arjan. The ben tree under which he used to sit supervising the excavation of the Amritsar pool still stands in the precincts of the Golden Temple. He subsequently retired to a bir or forest, where he tended the livestock of the Guru ka Langar. What is left of that forest is still known, after him, as Bir Baba Buddha Sahib. Guru Arjan placed his young son, Hargobind, under Bhai Buddha’s instruction and training. When the Adi Granth (Guru Granth Sahib) was installed in the Harimandar on 16 August 1604, Bhai Buddha was appointed granthi by Guru Arjan. He thus became the first high priest of the sacred shrine, now known as the Golden Temple. 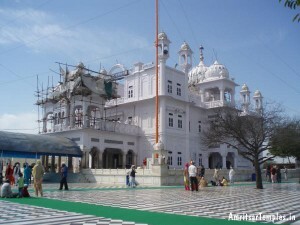 Following the martyrdom of Guru Arjan on 30 May 1606, Guru Hargobind raised opposite the Harimandar a platform called the Akal Takht, the Timeless Throne or the Throne of the Timeless, the construction of which was entrusted to Baba Buddha and Bhai Gurdas, no third person being allowed to take part in it. On this Takht Bhai Buddha performed, on 24 June 1606, the investiture ceremony at which Guru Hargobind put on two swords, one on each side, symbolizing miri and piri, sovereignty and spiritual eminence, respectively. Baba Buddha passed his last days in meditation at Jhanda Ramdas, or simply called Ramdas, a village founded by his son, Bhai Bhana, where the family had since shifted from its native Katthu Nangal. As the end came, on 16 November 1631, Guru Hargobind was at his bedside. The Guru, as says the Gurbilas Chhevin Patshahi, gave his shoulder to the bier and performed the last rites. Bhai Gurdas, further to quote the Gurbilas, started a reading of the Adi Cranth in memory of the deceased. The obsequies concluded with Bhai Gurdas completing the recital and Guru Hargobind presenting a turban to Bhai Buddha’s son, Bhana. Two shrines stand in Ramdas commemorating Baba Buddha, Gurdwara Tap Asthan Baba Buddha Ji, where the family lived on the southern edge of the village, and Gurdwara Samadhan, where he was cremated.